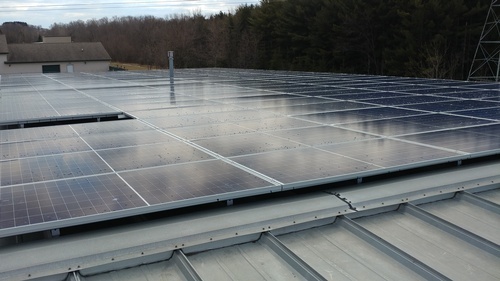 Join us in celebrating the completion of the 73.8kw solar panel system atop Plymouth business, InkWorks Printing! This system, the largest one in Plymouth, will assist InkWorks with their renewable energy initiatives and cover over 55% of their electrical needs. "InkWorks Printing specializes in the development and launch of label programs for in-mold and conventional labeling application. In addition to expertise in-mold decoration, printing technology and materials, InkWorks Printing is an innovator in the world of social media labeling with solutions that help to create greater consumer engagement with product and web content."